Well, we're a mostly acoustic, hot fiddle swing band with string bass, lap steel, guitar and tenor banjo accompaniment much like the pioneer bandleaders Milton Brown and his Musical Brownies, Cliff Bruner's Texas Wanderers and the Tune Wranglers. Our repertoire comes, as it did back then, from old-time fiddle breakdowns, tin pan alley ballads, hot jazz foxtrots, gut bucket blues, minstrel show routines and the requisite waltz. We seem to play quite a few Floyd Tillman numbers as well. We play as a full 7 piece band or a trio, or anything in between depending on your musical needs. It's music for dancing foremost. That's nice, but what does it sound like?. Visit us on MySpace for more song files! So, where can I see y'all then? Well chances are you missed us at the Kennedy Center in Washington DC, but you can see the whole hour long concert here if you have RealPlayer. If you have Windows Player, you can see this Texas swing Rendition of the Hannukah classic the "Dreidle Song." Why y'all bothering with this old stuff? Well, why not? We feeling it's our duty to keep this great Texas musical tradition as living and as vibrant as we possibly can. Nobody here thinks they're going to make a big tub of money, but we sure do look forward to making good friends and having good times. Initially inspired by a conversation after a recording session with Texas Swing legend musicians Deacon Anderson and Johnny Gimble, former Bad Livers founder Mark Rubin decided to form an ensemble true to the original roots of what is today called "Western Swing." *Theres an even better story, but we can't tell it publicly. Suffice it to say it involves alcohol and Asleep at the Wheel's Ray Benson. The Ridgetop Syncopators comprise an aggregation of the finest local musicians from widely divergent backgrounds. There's over 125 years of show business experience in our ranks. Led by Oklahoma native and Bad Livers founding member Mark Rubin the band regularly features Sean Orr on fiddle, vocals and occasional electric mandolin. Ricky Rees on string bass. George Carver on lap steel guitar. Mike Stinnett on Tenor Saxophone. Ben Saffer on clarinet and arrangements. In past shows we've had sit ins and guest spots from JD "Junior" Penley and Dave Biller on amplified guitar, Cindy Cashdollar and Chris Miller on lap steel and Rick McRae, Erik Hokkanen, Darcie Deville and Walt Roberts all on fiddle!. Our steelman George Carver with THE steelman Herb Remington!! 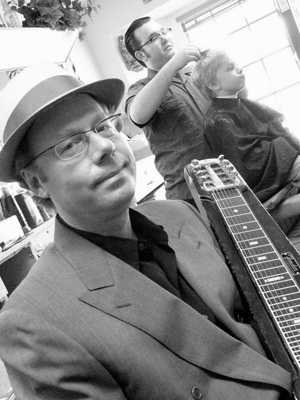 Check out Mark's article on the Tune Wranglers for the e-Zine "Jumping From 6 to 6." 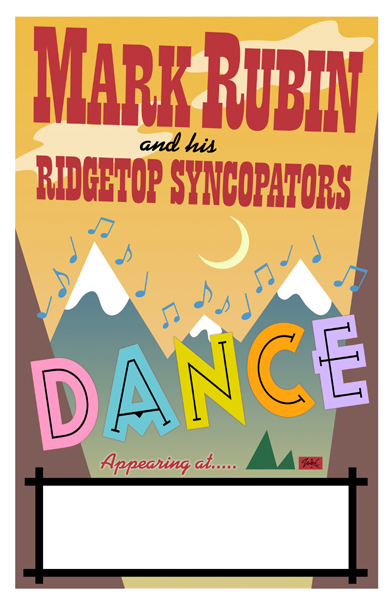 The Ridgetop Syncopators, the latest project from longtime Bad Liver and local klezmer ambassador Mark Rubin, sometimes open their sets with "Faded Love," but please don't call them Western swing. "Western swing meant what those guys out in California were doing, like Spade Cooley and Tex Williams," says Rubin by phone from his day job, managing Violins Etc. "It was more of a genteel and urbane and uptown kind of sound." 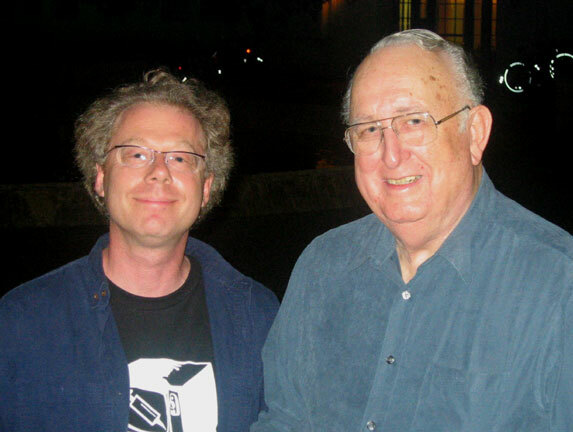 Rubin prefers the geographically more specific "Texas swing," citing the "raw, unhinged" music of semiforgotten practitioners Milton Brown and Cliff Bruner. Further investigation led him to the Dallas String Band, an African-American ensemble that played street corners in Deep Ellum for tips in the Twenties. "They did this wide variety of tunes, like Tin Pan Alley and popular ballads and blues," Rubin says. 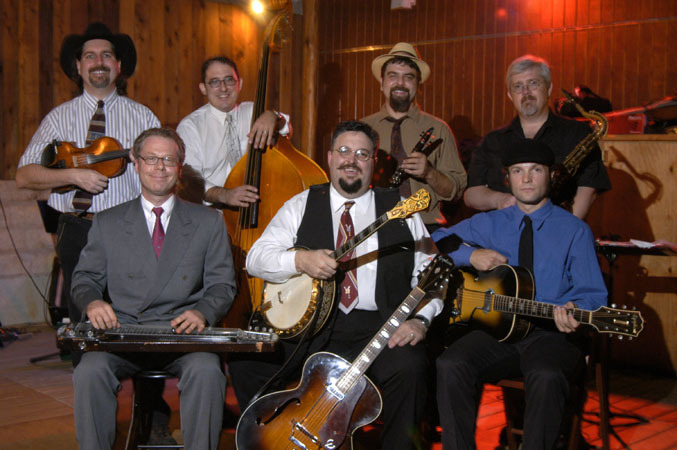 The Syncopators – Rubin on tenor guitar, banjo, and occasional fiddle; George Carver on lap steel; upright bassist Ricky Rees; clarinetist Ben Saffer; lead fiddler Sean Orr; and tenor saxman Mike Stinnett –likewise cherry-pick their repertoire from sources near and far, obscure and familiar. Sometimes surprisingly familiar. "Every one of those Western swing bandleaders, when you asked them who their big hero was, it wasn't Bob Wills," Rubin says. "It was Bing Crosby."